Facebook’s trending news section, which was accused of censoring conservative news, was managed by a staff full of liberal employees. The social media company has fired the 15-18 employees who worked on trending news, in an attempt to replace any possibility of bias with an algorithm. Gizmodo reported in May that Facebook “news curators” buried conservative stories. This caused Republican South Dakota Sen. John Thune to send a letter to Facebook inquiring about its trending news section. “Any attempt by a neutral and inclusive social media platform to censor or manipulate political discussion is an abuse of trust and inconsistent with the values of an open Internet,” Thune wrote. Facebook denied the charges in Gizmodo’s article and claimed to have a staff with diverse opinions. “Diversity in all its forms — including ideological — is one of our core values, and we believe that adding voices to the conversation creates a richer and more vibrant community,” Facebook’s general counsel wrote in a letter to Thune. It’s not clear whether Wagner is still with the Facebook news team. Facebook did not respond to a request for comment. 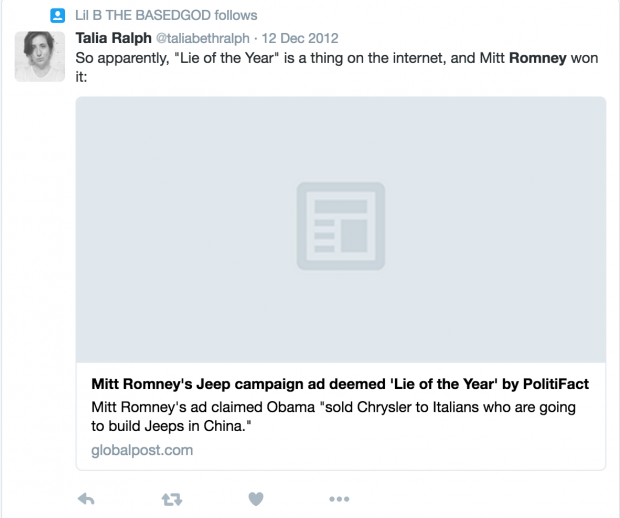 Talia Ralph, a former news curator at Facebook, tweeted on Oct. 16, 2012, “Romney on Immigration. Fighting the urge to scream loudly.” She has several other tweets that show she is no fan of Republicans. Al-Nasrawi also mocked the Republican debate on Twitter. “Derp derp derp radical islam derp derp Kim Davis derp derp derp illegal immigrants derp derp this is America derrrrrrrrrrp #GOPDebate,” the former Facebook news curator wrote. Several other other news employees showed support for gay marriage on their social media profiles. Correction Sept 1. : Allie Townsend is a managing editor with Facebook communications not their trending news team.